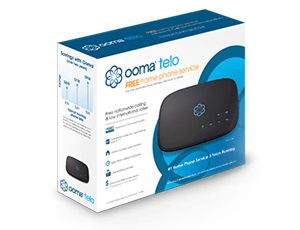 Did you know that you can use your Ooma phone service even when you’re not at home? Simply download Ooma’s free calling app on your smartphone or tablet to take advantage of the benefits of Ooma phone service, no matter where you are. After you install the Ooma app on your mobile device, you’ll be able to use your Ooma account for phone conversations on a smartphone or tablet. Using the Ooma app doesn’t replace your mobile phone number. Instead, the two services can work side by side so you can access both accounts. When placing a call with your Ooma account, begin by launching the Ooma app. Then, dial the phone number using the app’s keypad. To place a call using your device’s mobile number, you’ll start your call from your device’s “Phone” feature, not through the Ooma app. While your experience of making a call using the app will stay the same, the behind-the-scenes technology is different. 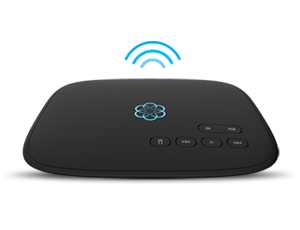 Ooma uses a technology called VoIP (Voice over Internet Protocol), which securely transmits your calls over the internet instead of through the cellular calling network. Because your mobile device can connect to the internet via Wi-Fi or cellular data, it’s helpful to be aware of how your device is connected when making a call. Typically, a Wi-Fi internet connection, such your wireless connection in your home or workplace, will have unlimited internet usage. Conversely, an internet connection through your cellular data plan, such as when you’re out running errands, will be associated with your phone’s cellular data usage and allotment rates. Unless your cellular phone plan has unlimited data, you should place your Ooma calls when you’re connected to Wi-Fi to avoid the data usage rates that your cellular carrier will charge. How Much Does It Cost to Use Ooma’s Phone App? Ooma’s mobile calling app is completely free to use! The app is simply another method for connecting with your Ooma account. Plus, using the Ooma app for your phone calls can help you save money. Because Ooma’s phone service has the same cost no matter how much you use it, switching your phone calls to Ooma can help you reduce the number of minutes you use through your cellular plan. Keep in mind that the level of your Ooma subscription plan does have an impact on your functionality with the Ooma app. All users can make unlimited outbound calls to U.S. numbers, but only Premier Service customers can receive incoming phone calls with the Ooma app. Whether you’re calling Paris, Japan, Germany or anywhere else in the world, the Ooma calling app gives you access to Ooma’s low-cost international rates. Your subscription to the Ooma World plan gives you unlimited access to landlines in over 60 countries and mobile phones in over 10 countries for just $9.99 per month for the first year. The free calling app also allows those who make infrequent international calls to access Ooma’s affordable pay-per-minute rates. With either option, international calls you place with Ooma will likely cost less than the standard rates offered by traditional phone companies. If you’re away from home, you can use the app as you normally would to connect over the phone. Additionally, you’ll never be out of the loop when you have one-touch voicemail access right from the Ooma app. In fact, you won’t even need to tell your contacts your travel itinerary because you can easily stay in touch with them no matter where you are. With the Ooma app, you’ll have the same functionality when you’re traveling internationally as you do when you’re at home. Remember to connect to Wi-Fi when using the app to avoid international data charges from your cellular phone plan. When you’re in another country, calling a U.S. phone number won’t incur any charges. This is because calls to U.S. phone numbers are included in your Ooma service, no matter where you’re located physically. Similarly, calls to international locations will use the same international rates that you had while you were in the U.S.
Are There Safety Advantages to Using the Ooma App? While Ooma’s free calling app includes the many benefits of increased phone access and cost savings, customers rave about how the remote 911 service provides essential safety tools. A known vulnerability in mobile phone technology is that cellular calls to 911 emergency services have a geolocation failure rate up to 90 percent. That means you have to waste time telling the dispatcher where you are. However, calls made with the Ooma app or with your Ooma Telo have a built-in safety feature to transmit your home address to emergency dispatchers automatically, so you can summon help to your home even when you’re far away. Plus, Ooma’s advanced 911 feature automatically directs your emergency call to a local dispatcher rather than to a national call center, as many other phone technologies do. Learn more ways that Ooma’s free calling app provides advanced phone tools from your mobile device.